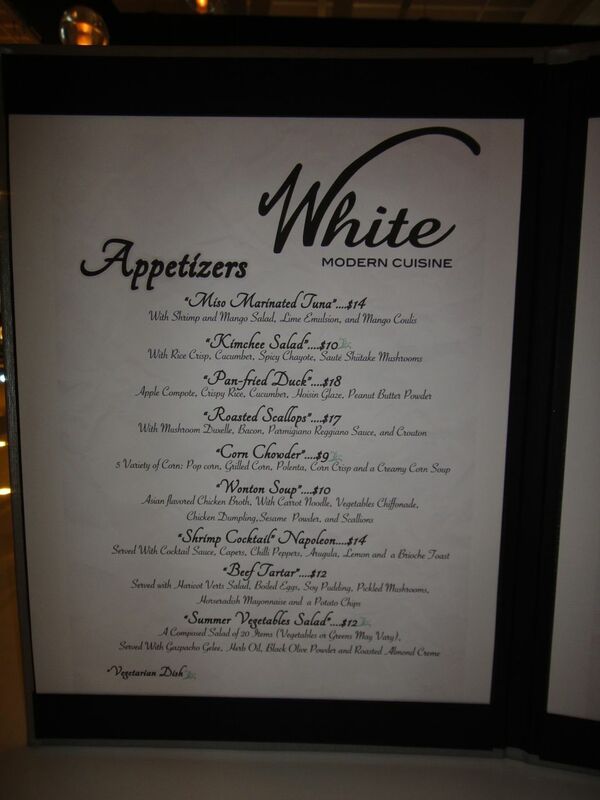 White Modern Cuisine, menu part 1. 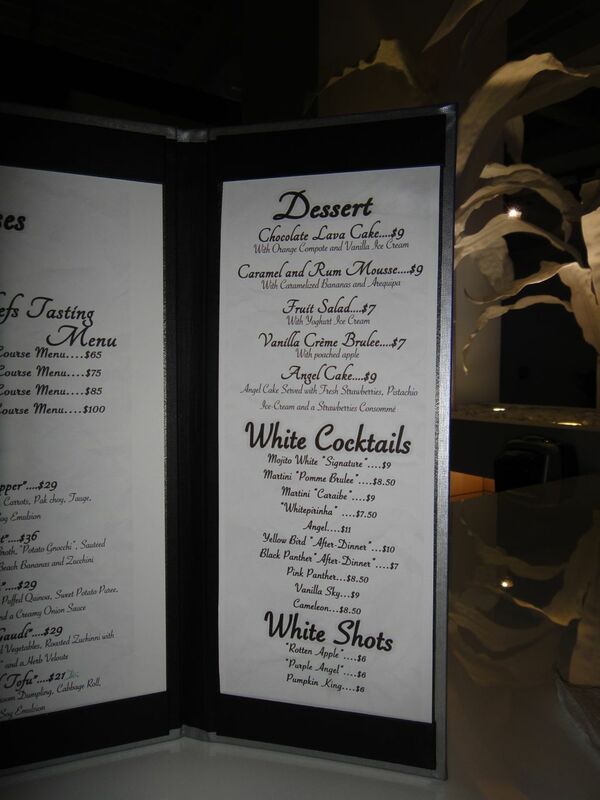 White Modern Cuisine, menu part 2. White Modern Cuisine, menu part 3. In the next post, I’ll show the wonton soup which is listed among the appetizers. I had this as a late-night snack and was very pleased. 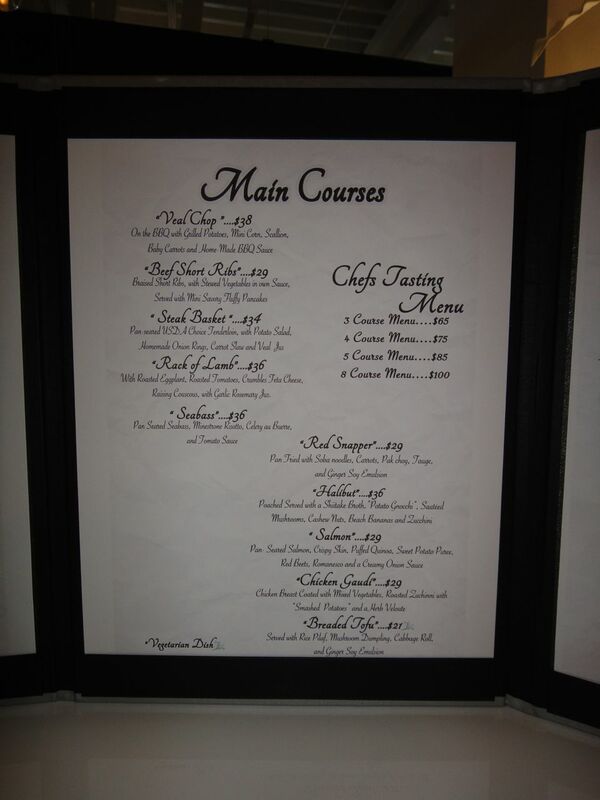 The food here is very upscale, meaning small portions, super high quality ingredients, and dramatic presentation. If you ask me, worth every single penny! Plans have been made for several visits this month, as the budget permits. Bon dia.